The following is series of events that happened today. It was a crazy whirl wind of a day filled with meeting and schedules with a dash of planning. Overall this pretty average day, however you should see me on tuesday that is when things really heat up. 7:30 a.m. I wake up to cows mooing, looking around I try to figure why cows are mooing. I now live in the city which is devoid of any livestock. The only thing that resembles a cow is the coffee cup that has a udder in the kitchen. Looking around I spy my phone alarm that my roommate (as a joke) made the mooning sounds my wakeup alarm. 7:55 a.m. Gone is the days were I used to get up at 5 a.m. to feed livestock and then get dressed fully energized to go to school at 8 a.m. Now having the luxury of sleeping in till 7:30 a.m. (after staying up till 1 a.m.) I spend thirty minutes reading in bed about current news events. 8:10- 9: 50 a.m. I am out the door and on route to walk dogs. One of the many extra jobs I have (such as designing costumes for Halloween or mowing laws on weekends) provides me with the chance to get outdoors and walk along the levee. 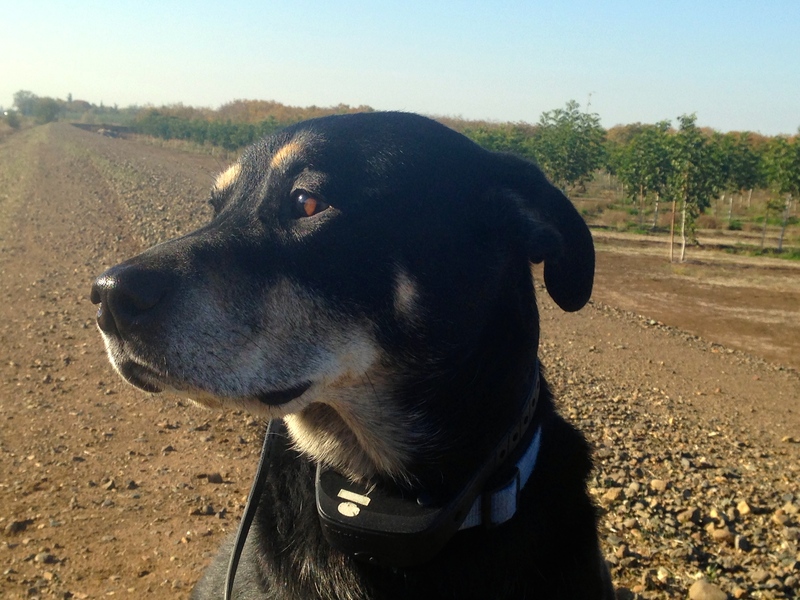 One of the reason why I walk dogs (other then I don’t like eating Top Ramon each night) is that gives me a chance to walk in Upper Bidwell or walk along a orchard. (as seen above.) Plus it gives me a chance to hang with animals, because I am a college student it doesn’t seem right for own a animal when I can barely have time to do my basic chores. Growing up in my family we always had animals (and at least two dogs) so it was little weird adjusting with a life without daily animal contact, and thankfully walking dogs gives fits the bill. 10-11 a.m. I rushed madly around my house trying to clean up the remnants of my college life, which is splattered all around my living room. Company is coming over later in the day I try to make it look semi presentable. At this time I am also getting ready for a meetings that fill up my afternoon. 11:30- 12:45 p.m. There is a meeting of communication team for organization that I work for . I will leave out the boring specifics but there is a bunch discussion of how to appropriate a stock photo and what is coming up on the horizon of the next month. 1-3 p.m. Deep in the sublevels of Plumas (the agriculture building) huddles the award winning newspaper “The Orion”, here amongst the computers and various reporters the Arts and Entertainment Staff pitch our stories for the next couple of weeks. 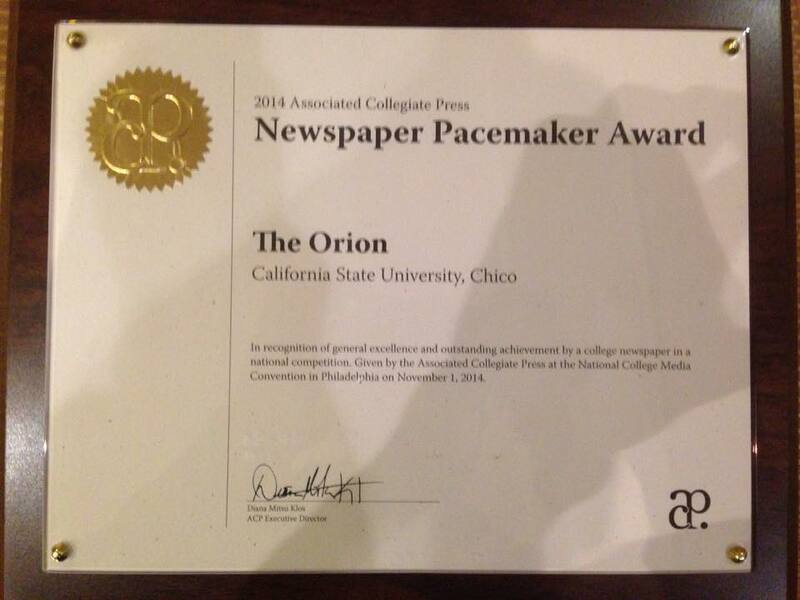 Here is our “Pacemaker” that The Orion won last week for last years print edition. Hopefully we can get another one next year for this year’s work. It is really great to work with talented journalist every day and learn from the best in the business. 3-4 p.m. Drove to my doctor’s office to talk about my broken wrist, good news is that the swelling has gone down and I don’t need surgery. Soon my days of chicken pecking the keyboard and fashionable cast wear will be over!! 6:23 p.m. After my roommate made a lovely curry dinner I have come the conclusion that Sir Lanka’s Chilies are:1) a different kind of spicy then I am use to 2) Water kind of feeds the fire, while milk completely extinguishes the flame.